Accommodating dual interfaces of USB Type-C and standard Type-A, the Mobile C80 lets you to transfer and share contents between new-generation devices with USB Type-C ports, PCs and Mac computers. The Mobile C80 offers up to 64GB to instantly expand the storage of your mobile devices that gives you plenty of room to backup photos, videos, music and important files. No more constraints of cables and Internet signals, you can get rid of traditional methods with the Mobile C80 to enable much easier and faster data backup and transmission. The Mobile C80 is built with a 360° swivel cap that can not only avoid cap loss problem but also protect the USB connector when it is not in use. And the ergonomic circular-shaped cap allows easier carrying for it can be perfectly fitted on a key chain. The zinc alloy casing features a sandblasting treatment that enables delicate touch and provides superior resistance to scratches and fingerprints. The Mobile C80 offers the exclusive free-download App－SP File Explorer, a file management app for your Type-C and Android™ Smartphone or tablet. 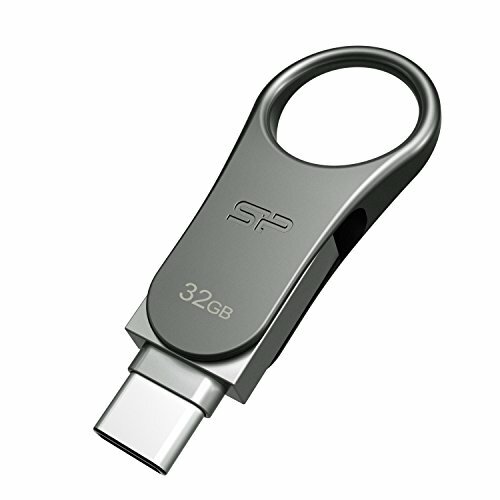 The SP File Explorer App provides various intelligent functions including automatic file categorization and “one-touch backup”. The Mobile C80 is backed by lifetime warranty.